It has been announced today that Andrew Large will be leaving the CSSA by the summer of 2013. Our industry has been riddled with confusing product explanations and untruthful claims on packaging, literature, websites and verbally in presentations. This applies especially to paper and washroom products. Cheap Mop Imports Illegally Displaying the CHSA Logo, Could Lead to Prosecutions. Graham Fletcher, Secretary of the Cleaning and Hygiene Suppliers Association gives out a stark warning to those who try to cheat end users buy abusing the association’s accreditation schemes. In his latest newsletter Graham outlines the problem. 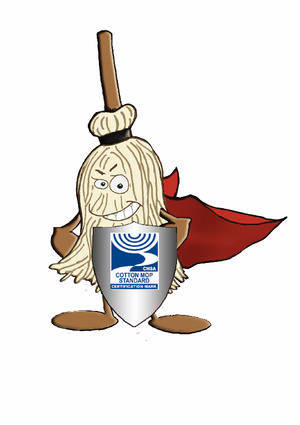 Clearly implicit in the Cleaning and Hygiene Suppliers Association’s mission statement is the Association's intent to raise industry standards and assist its members in providing their customers with 'value for money' solutions to their cleaning and hygiene needs.